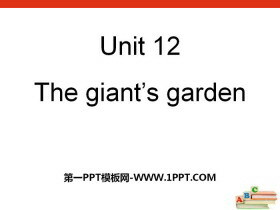 《The giant's garden》PPT 第一部分内容：Sing a song. 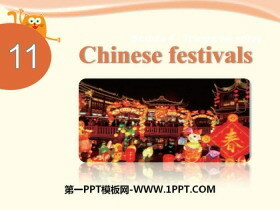 get out have a lot of fun knock down build any time come back come through a hole around the garden run away ... ... ... 《The giant's garden》PPT，第二部分..
《Chinese festivals》PPT 第一部分内容：Look and learn the Spring Festival the Double Ninth Festival The Mid-Autumn Festival 1.The Spring Festival comes in January or February every year. 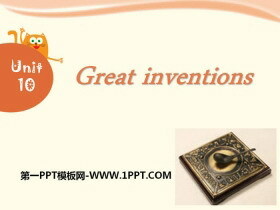 It is an important Chin..
《Great inventions》PPT 第一部分内容：Look and say Do you know any great inventions in the world? 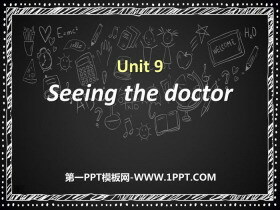 Look and complete Kitty paper write on it Alice the watch tell the time anywhere Peter the car travel from one p..
《Seeing the doctor》PPT课件 第一部分内容：新课导入 You should take some medicine. 你应该吃药。 You shouldn't go to bed late. 你不应该睡觉晚。 情态动词should--应该，should后跟动词原型，否定式shouldn't--不应该。..
《Seeing the doctor》PPT 第一部分内容：practice have a cold have a fever have a headache have a toothache have a rest get well ... ... ... 《Seeing the doctor》PPT，第二部分内容：练习 连连看 have a cold 康复 ha..
《Buying clothes》PPT 第一部分内容：Look and answer 1.Where are Kitty, Ben and their mum? 2.What are they going to do? 3.What does Kitty want? 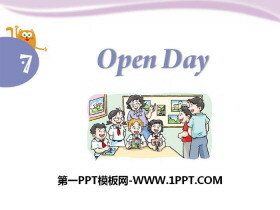 Look and learn trousers a pair of trousers cool trousers shoes a pa..
《Open day》PPT课件 第一部分内容：新课导入 First,they'll visit our classroom. 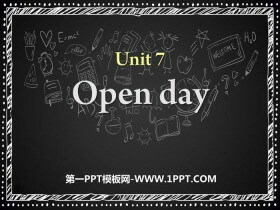 首先，他们将要参观我们的教室。 First 首先 Next 其次 Then 然后 After that 接下来 Finally 最后 ... ... ... 《Open day》PPT，第二部分内..
《Open day》PPT 第一部分内容：Read and guess It is big and bright. There are many chairs and a big table. We usually have a meeting in this room. It is very large. There is a stage and many seats. 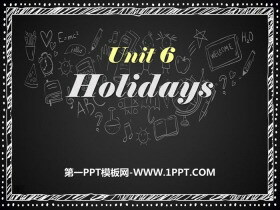 We usually ha..
《Holidays》PPT课件 第一部分内容：新课导入 Where will we stay? 我们将要待在哪里？ How long will we stay in Sanya? 我们将要在三亚待多久？ will用做助动词表将来，其特殊疑问句句型为：特殊疑问词+will+主语+动词原型+..
《Holidays》PPT 第一部分内容：新课导入 What holidays/festivals do we have in China? 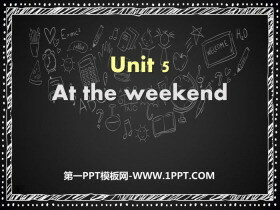 Spring festival National Day Mid-Autumn Festival /Mooncakes Day Summer holiday Winter holiday Dragon Boat Festival May Day /La..
《At the weekend》PPT 第一部分内容：新课导入 What are you going to do this weekend? 这个周末你计划做什么？ be going to的特殊疑问句 What+be+主+going to+其他？ 回答：主+be+going to+其他。 ... ... ... 《At the wee..
《Reading is fun》PPT课件 第一部分内容：What is fun? Swimming is fun. Flying kites is fun. Singing is fun. 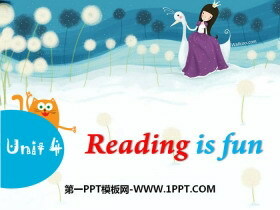 I am going to read a story every day will 客观上要发生的事情 be going to do 打算、计划要去做的事情 ... ..